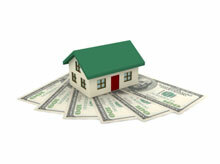 No cost mortgage loans have become a popular feature for home refinancing in 2010. Bridge is one of the few mortgage lenders offering a no closing cost mortgage loan. The no closing cost mortgage options are available to qualified borrowers on the conventional, jumbo, FHA and VA mortgage products. Getting approved for a mortgage with no costs can save you thousands of dollars. Are you looking for a no cost mortgage with no fees so that the balance on your 1st home loan does not increase? This is one of the most significant benefits of a "mortgage with no closing costs" because it preserves your current outstanding balance. The fact is that when borrowers finance the closing costs and lender fees they are actually increasing the amount they owe on their house. If you have good credit and sufficient income documentation, you just might qualify for a no cost refinance. Lender paid closing costs is a premium option and typically it costs the borrower .25 to the rate. Take advantage of new mortgage lender incentives for home refinancing. 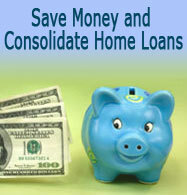 Let our lenders pay all the closing costs on your next mortgage refinance. The No Cost Mortgage Refinance option is available on most of the refinance programs but verify program eligibility with your loan officer.